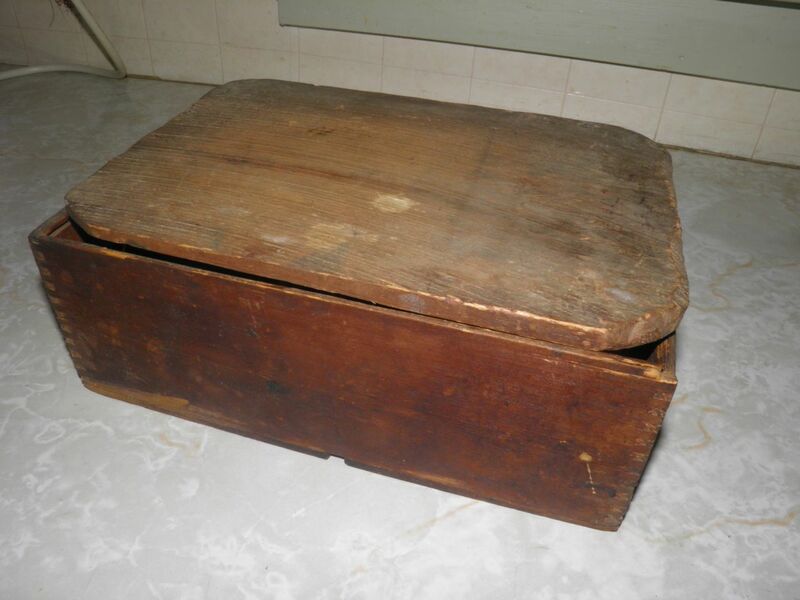 Whatever can be in such an intriguing box? Why aren’t things made the way they used to be? It seems we live in an ever-increasing disposable society. Products are now made to only last until the new improved version hits the shelves. That says volumes about the state of society, not only in our consumption but more widely in how we treat each other. Sadly it seems our relationships are as disposable as what we buy. Well it wasn’t always that way. Everything used to be made to last, and last and last. Look around your kitchen. Pick out 5 machines that you expect to still be working in 10 years. 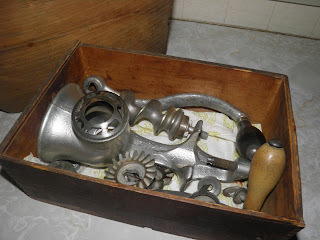 This old grinder is therefore a major object of lust for me. 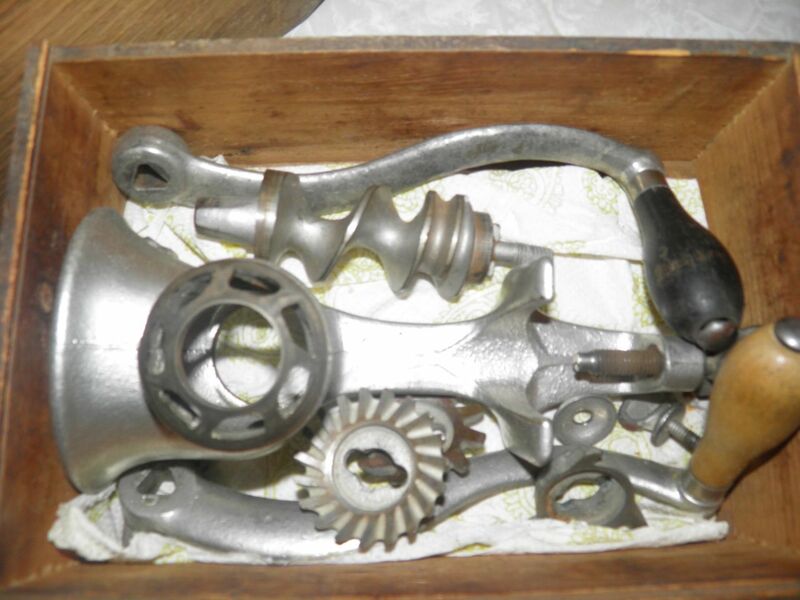 I love old tools—things that were made well—and how they often have been lovingly preserved. This is from a time when you couldn’t run to the store but had to rely on yourself to make the items you ate, wore and even lived in. The tools you used had to be reliable. It was disaster if they broke down. It comes from a different world. In contrast, we bought a gas lawn mower at the start of this past mowing season. It’s already been in need of two repairs. When did we lose our pride in making quality goods? It’s endemic and lamentable. Just look at this box. You know that something wondrous is nestled inside. I may actually get my hands on this particular object. Currently it resides with some friends who never use it. It did belong to my cousin’s grandmother before them. I have a real desire to own a good quality grinder. In making my own sausage I have found it both cheaper than store purchased and infinitely tastier and better for you. Just look at this machine. Built for the long haul, to be sure.